Disinfectant: Instead of bleach, make your own disinfectant by mixing 2 cups of water, 3 tablespoons of liquid soap and 20 to 30 drops of tea tree oil. It’s easy! Keeping carpets clean is less daunting than you might think, even after a season of tracked-in dirt and salt. Beat Those Rugs: Take any removable rugs outside and beat the dust and hair out with a broom. Club Soda: You’ve probably heard the old adage that club soda works well on carpet stains. But you have to attack the mess right away. Lift off any solids, then liberally pour on club soda. Blot with an old rag. The soda’s carbonation brings the spill to the surface, and the salts in the soda thwart staining. Cornmeal: For big spills, dump cornmeal on the mess, wait 5 to 15 minutes, and vacuum up the gunk. Spot Cleaner: Make your own by mixing: 1/4 cup liquid soap or detergent in a blender, with 1/3 cup water. Mix until foamy. Spray on, then rinse with vinegar. To Deodorize: Sprinkle baking soda or cornstarch on the carpet or rug, using about 1 cup per medium-sized room. Vacuum after 30 minutes. Conventional oven cleaning chemicals are loaded with toxic ingredients, including ethers, ethylene glycol, lye (sodium and potassium hydroxide), methylene chloride and petroleum distillates. The products are harmful to skin and eyes, and the fumes are unhealthy. Instead, go natural! Baking Soda and Water: Coat the inside of your dirty appliance with a paste made from water and baking soda. Let stand overnight. Then, don gloves and scour off that grime. Make spotless with a moist cloth. A stopped up sink or tub is a real hassle, but pouring toxic chemicals like Drano on them isn’t so wise. Not only will that pollute our waterways, but the products can cause chemical burns and are highly dangerous if ingested. Do you really want that in your home? Baking Soda and Boiling Water: Pour 1/2 cup of baking soda into the problem drain, followed by 2 cups of boiling water. If that isn’t doing it for you, chase the baking soda with a 1/2 cup of vinegar and cover tightly, allowing the vigorous fizzing of the chemical reaction to break up the gunk. Then flush that with one gallon of boiling water. Whether you have fine family heirloom pieces or something with character you picked up at an estate sale for a song, you’re eventually going to have to wash your antique linens. Even with advanced settings on today’s washing machines, you still may want to address fragile fabrics by hand. Sunlight: What could be easier than sanitizing and removing stains… with sunlight! 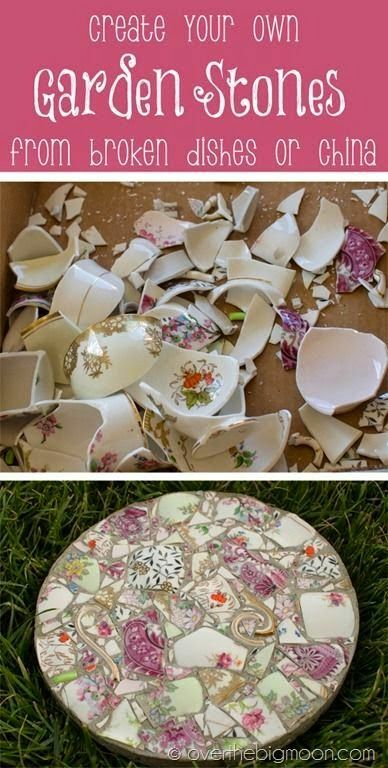 (Just don’t do it too often with fragile pieces, because they can start to break down). Simply lay your old lace, curtains and other fine linens on the grass in the sun for a few hours. Dirtier pieces can be dampened first. Boiling: If that doesn’t do the trick, fill a pot with water and bring to a boil on your stovetop. Drop in linens and let steep until stains lift. Detergent and Borax: Mix dishwasher detergent and borax together until you get a thick rubbing paste. Rub into soiled linens, then rinse clean. Peroxide: If you have stubborn stains, try spraying them with peroxide, then rinsing with water. Commercial silver polish contains toxins, and manufacturers recommend you don’t leave on skin too long. Do you really want something like that spread over your flatware? Aluminum Foil, Boiling Water, Baking Soda and Salt: Keep your sterling shined with this seemingly magic method. Line your sink or a bucket with aluminum foil, and drop in tarnished silver. Pour in boiling water, a cup of baking soda and a dash of salt. Let sit for a few minutes. The tarnish will transfer from the silver to the foil. Toothpaste: If you can’t immerse your items or are otherwise inclined to polish by hand, rub tarnished silver with toothpaste and a soft cloth. Rinse with warm water and dry. Instead of toothpaste you can substitute a concoction made of 3 parts baking soda to 1 part water. Ketchup: To keep your copper pots, pans and accents looking bright and shiny, try rubbing with ketchup. You can find the original article here in The Daily Green website.